No matter how many times he was told to take the hat off, Bill remained resistant. No one had the heart to remind Bill that he had never known his father, or that the hat had been purchased as a sort of gag by one of the more nefarious grand kids. But he wore that hat, poor old Bill, he wore it like the heirloom he believed it to be. Initially, our collective familial stance on the hat being worn was resignment. 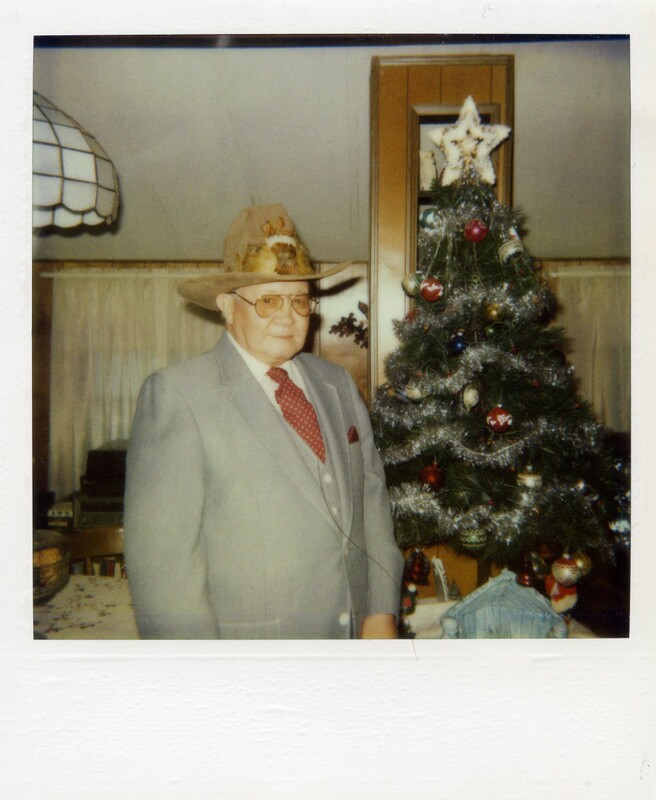 “It’s Christmas,” we all said, “let him enjoy it.” And for a majority of the holiday they played along, complimenting Bill and his father’s hat, listening in as Bill conceived tales of the life of the hat, wild and imaginative yarns spanning generations of ancestors all donned in the leathery half-gallon hat that a grandkid picked up at a Value Village discount bin in West Texas. It seemed to the whole family that Bill was in the best shape in years. The past six Christmas’, Bill would sit in the corner of the living room, hat-less, scarfing down Ritz crackers and slices of cheddar cheese, politely smiling when addressed, rarely taking matters any further. All the grandkids thought of Bill as the “quiet grandpa,” the one who wouldn’t entertain their childish notions, who wouldn’t play along when they aimed their finger guns and shouted pow. The kids of Bill, by both blood and law, found the change unsettling. Throughout his entire life he’d been reserved, always saying just a little too little, but now? They couldn’t convince him to shut up.